I always Love Nobel Carpets Giveaway. They are very Creative. Here is their Christmas Giveaway Message. #Christmas season is upon us and will be giving away lots of goodies. As easy as 123...Simple as ABC. 1.Pick a number from the Christmas tree (1-100) and tag 15 people. 2.Make sure you don’t pick the same number with some else. 3.Drop the number you pick in the comment below and stay glued . 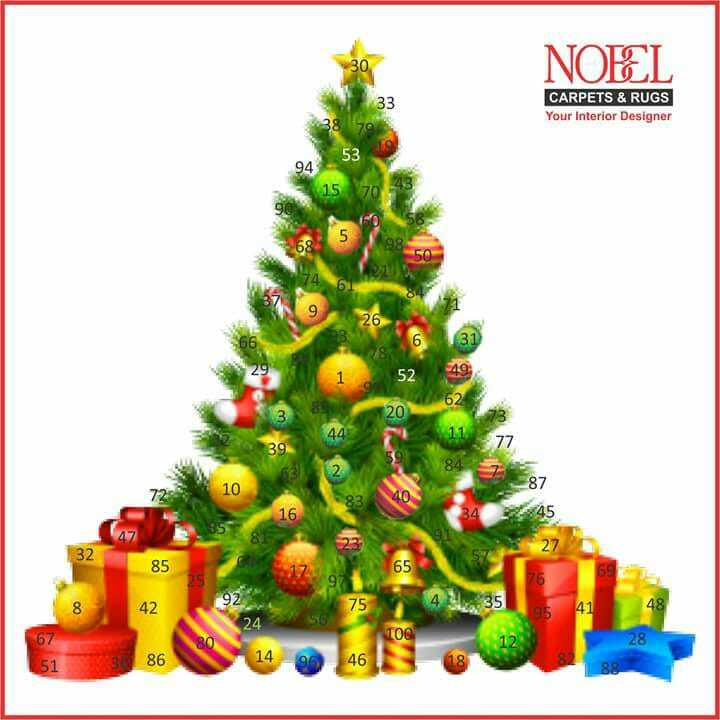 Each number picked contain Christmas gifts. 4. Make sure you share and tag. Winners will be picked every day. All the best guys! Contest runs From December 18th, To December 23rd, 2017.